What a guest blogging is all about? Appearing to bit peculiar to the ears on first listening, the guest blogging is a mixture of content marketing and content strategy. In very simple words, it is an exchange of content from one blogger to another. In another way, writing content for other sites or blogs make you a guest author. However, like any other business activity based on the principle of barter, guest blogging has also its give and take rules. A guest blogger in returns gets links. Links are the diet of the internet and search engines. You require them for rankings, traffic and authority. Thus guest blogging is a very noble means to get custom anchor-text, high quality one way backlinks to your website. After linking, it is the valuable traffic that a person can produce for his website through the medium of guest blogging. Loyal readers are must for the success of a published work, whether it is in print or is online. 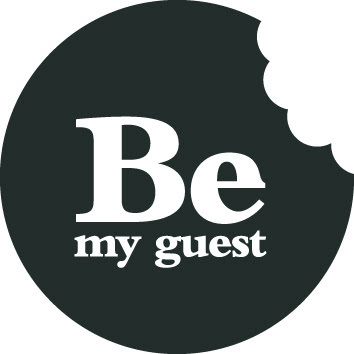 In form of guest blogging you can increase feed count as well as subscription for the content written by you. Subscribers are the lifeline of a blog and a guest post easily familiarize with this feature of blogging. It is also a very easy to brand a product or service. After making your mind up for guest blogging, it is necessary to search for the best blogs in your niche to contribute the guest posts written by you. Any leniency in searching a popular blog may result in through waste of time and energy in writing a blog post. Google search is one of the best the best ways to search a blog in a niche category. After getting the best sites in the niche, you should search for the blogs offering invitation for guest blogging. Another nice to get the good blog is searching with the help of Google Blog search and Tecnoratti. It is also very essential to in contact with fellow bloggers for the purpose of guest blogging as everyone looks for a good write up for their blog as well. Well starting a guest blog, the rules apply as similar to writing a blog post. The content should be fresh and unique. If you will write better posts for the other’s blog, you will be get reputation among blogger’s as well as useful back links. After writing the content leave an optimized link in the byline of the blog. If possible write for big blogs for taking as much leverage and advantage from the writing skills that you possesses and have nurtured due to your passion towards creativity. Pay attention and respond to comments genuinely. It will show your seriousness and willingness towards guest blogging.